Xiaomi Mi 3 stuck on bootloop, dead or bricked and can’t start. Most of the Xiaomi Mi 3 smartphone user are facing these kind of problems after flashing rom or any other tweaks. 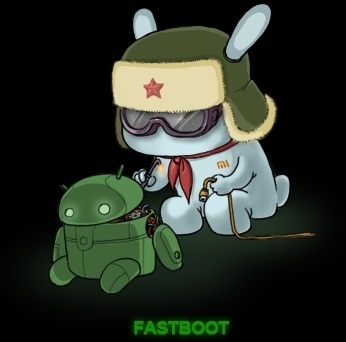 Few day back we posted a article How to come out from the Mi 3 bootloop and Flash MIUI on Bricked MI 3 with Fastboot Mode. 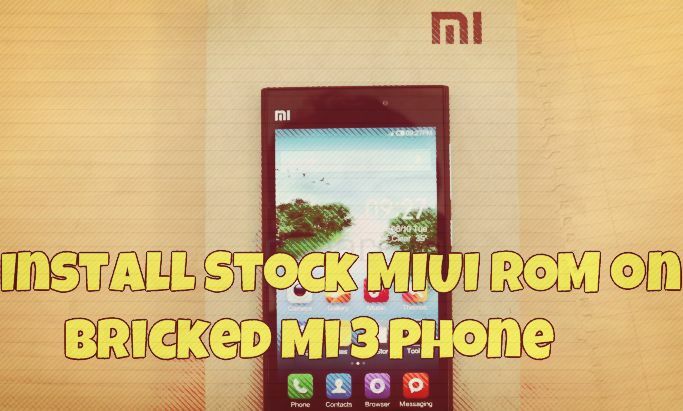 If none of the method works on your Mi 3 phone, here is the new guide which will help you to install the Stock ROM on your bricked or Dead Xiaomi Mi3 smartphone. To get started all you need a windows pc, Fastboot drivers and the MI3 fastboot ROM. NOTE:- Read all the instruction very carefully and follow all the steps one by one your phone. This guide is only for the Xiaomi Mi3 smartphone users, don’t try this method on any of other Xiaomi smartphone. Step 1. 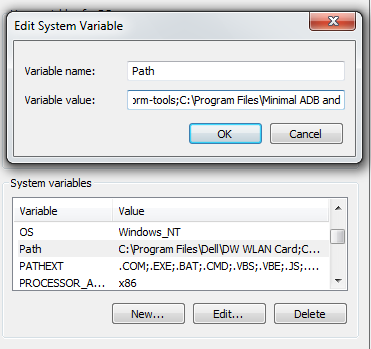 Download and install fastboot driver from here. 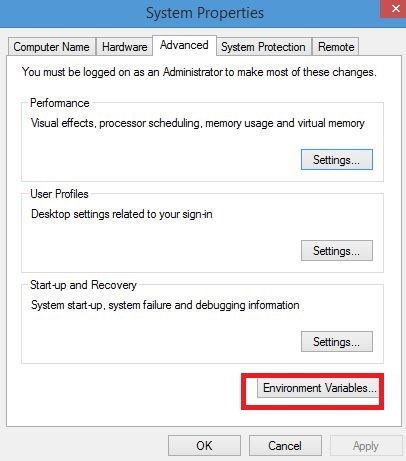 In the Environment Variables, find an entry in Variables called “Path”. Select Edit. For 64 bit windows : C:\Program Files (x86)\Minimal ADB and Fastboot Make sure you have added a semicolon ( ; ) before this path. Hit Ok, Ok until you are out and you are all set. 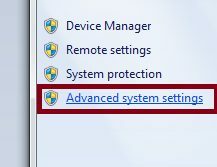 Now the Adb drivers setup is done. Next step is to flash the rom on the phone. Step 1. Download latest fastboot rom for your Mi 3 smartphone here. Step 2. Once the Mi4 Fastboot ROM file downloaded extract it on your desktop. Step 3. Now on mobile long press power button + volume down button simultaneously to enter into fastboot mode. 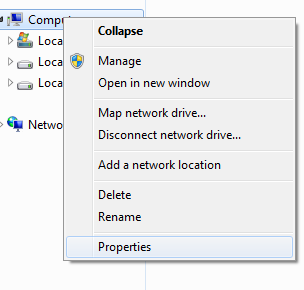 c. flash_all_except_storage.bat (This file should be used in Windows operating system. It will flash the updated files, wipe user data, but will not delete files in internal storage? Step 5. From here double click on Flash_all_except_data_storage.bat. Step 6. 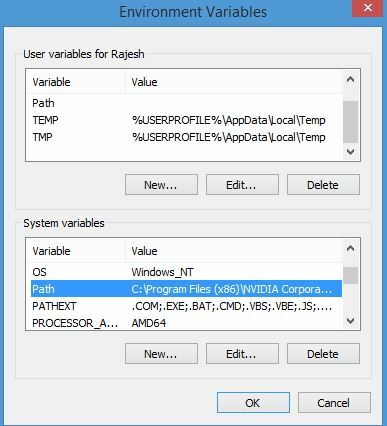 Now you will see a Command Prompt window working on your phone, let it finish. It will take a minute to finish. Your phone will reboot by itself and take about 5-8 min to start New Set Up, just like factory Start Up. All done. Now you phone hast the latest MIUI Stock ROM. Enjoy !!!!! !